As an employer, it is your responsibility to reduce workplace stress in order to improve retention, employee health and engagement. 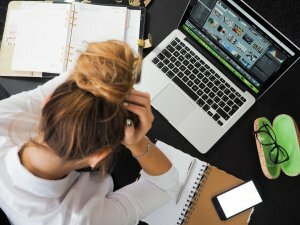 As April is Stress Awareness Month, we have put together 5 ways you can reduce workplace stress, to help you combat these issues. If employees are snowed under with piles of work, ensure you are working along side them to distribute the work evenly and fairly. Excessive workloads don’t just overwork the employee, but the work is not done to the best of their ability, as productivity and engagement is low. Always ensure you cut out unnecessary or duplicate work, making sure deadlines and goals for the work, realistic for the employee within a given time frame. In recent years, there has been an increase in flexible working. 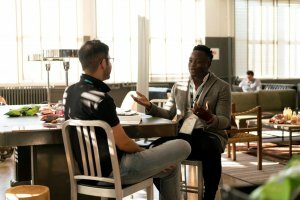 If your employees are constantly working long hours, with excessive pressure applied to them, you should take action to change your work culture. Flexible working has been proven to reduce stress and improve employees work-life balance. This gives employees the freedom as to when they do their hours, for example, if they have kids they might want to do the school run before they go to work. You should encourage employees to maintain a good work-life balance, this can include introducing work socials or implementing an early finish on Fridays for everyone. Offering training and extra support to staff can ensure they are kept up-to-date with knowledge and skills in their industry or department.This will ensure they have sufficient coaching and training to perform their job effectively and confidently. Providing training on new software or business procedures can reduce stress as employees are shown how to go about daily tasks. You can also provide courses based on the stress management and well-being programmes to ensure everyone in the workplace can look out for each other, as well as themselves. Encourage two-way communication and feedback between you and your employees. This gives you a chance to talk to each individual employee about work and stress related issues. But just as important, the employees can use this as an opportunity to give you feedback either about management or the business in general. Therefore, the feedback can work in favour for both employer and employee. You can find what aspects of working life cause the most stress for employees, allowing you to go forward and adapt the workplace. Dogs are proven to have a calming effects, reduce blood pressure/stress and generally make employees feel happier. 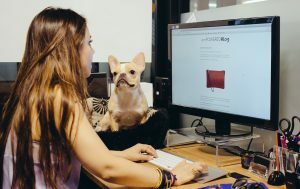 Obviously, this isn’t doable for all business types but if you can’t have an office dog every day, there are lots of dog therapy groups that you could invite to the office every month, to ensure employees are frequently receiving the calming effects of dogs every now and again. Therapy dogs are trained to comfort and show affection to people in hospitals, but most importantly they are used to help people with anxiety and stress, often used in Universities. As it is Stress Awareness Month, take the rest of April to ensure you concentrate on the well-being of your employees. At Biopanel we are devoted to ensuring Blue chip end client organisations with large workforces can effectively communicate with all their employees. Whether they want to send a message to the whole workforce or individual messages tailored to specific employees. 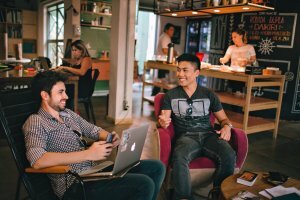 This can help to arrange meetings with employees, give out safety notices, issue out surveys to help improve workplace culture and much more. If you would like to improve communication, productivity, engagement and organisation, contact us NOW!